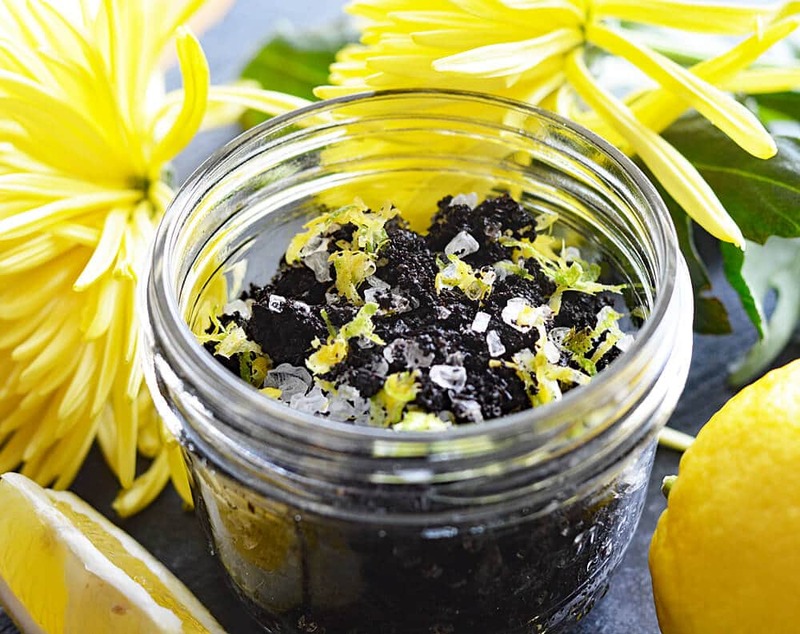 In this post, Going Green: 12 Eco-Friendly Ways to Upcycle Your Coffee At Home!, I’ll be showing you how to make my simple homemade Citrus Scented Coconut Oil and Coffee Scrub! I’m proud to be partnering with Starbucks to help educate and raise awareness for their One Tree for One Bag Commitment! 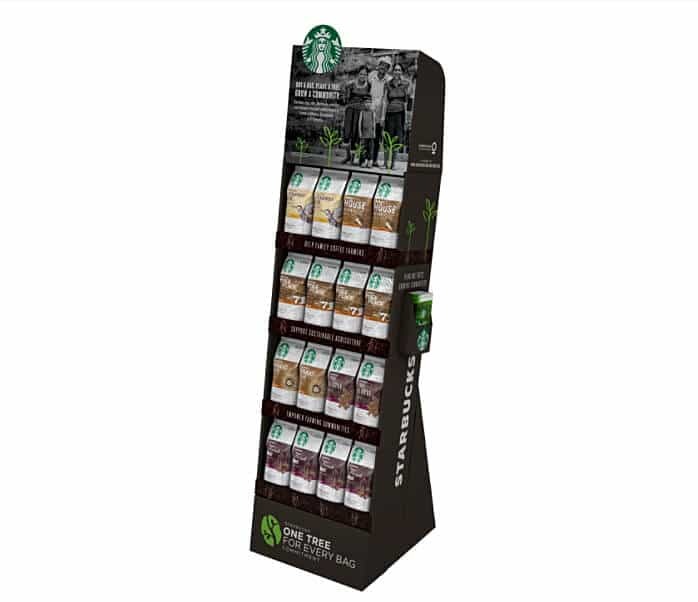 To help ensure the long-term supply of coffee and the economic future of coffee farmers, Starbucks launched a campaign to to replace aging and diseased trees that were declining in production. Did you know that a coffee tree produces only enough coffee cherries each season for a single pound of coffee? And aging trees, or those impacted by disease, produce much less. 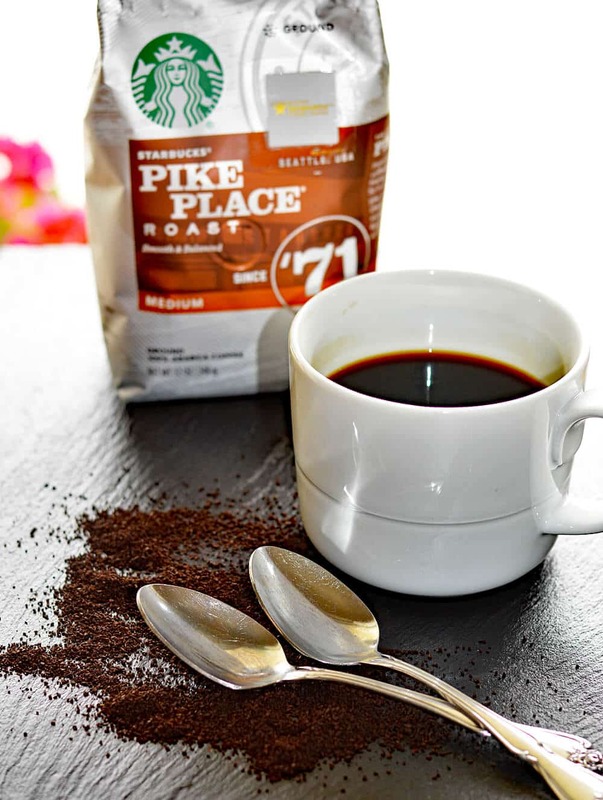 I found the Starbucks® Pike Place® Roast coffee at my local Albertsons store in the coffee/tea aisle. Many Albertsons & Safeway stores are featuring a special display dedicated to the initiative, so be sure to look for that! 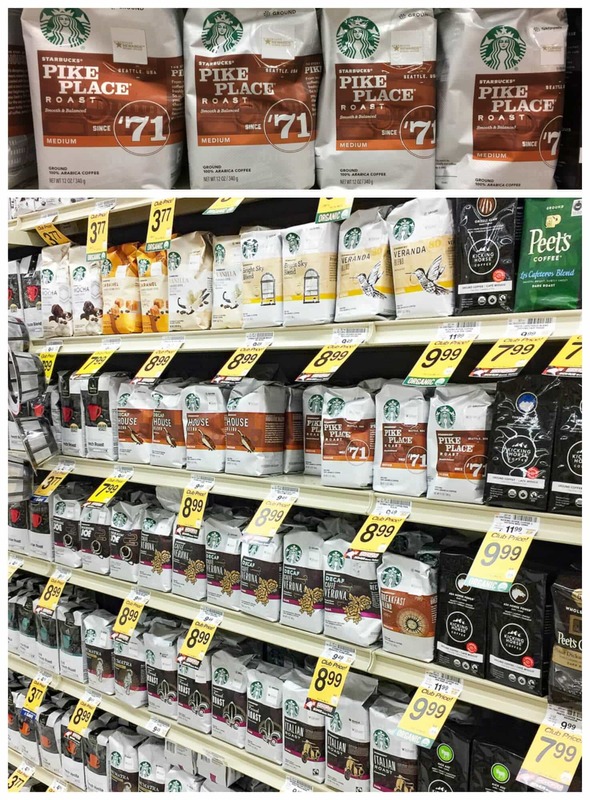 Check out the special Starbucks “One Tree One Bag” commitment display in the coffee aisle! In keeping with the conservation theme, I thought I’d share 12 Eco-Friendly Ways to Upcycle Your Coffee At Home! In an effort to achieve a near zero-waste lifestyle, here are my favorite ways to upcycle those spent coffee grounds. We all have them accumulating after our morning breakfast, right? Rather than dispose of them every single day, I’ll show you some pretty fun ways to make them work for you again! Here are some amazing ways to repurpose those coffee grounds. Stay tuned for #12 where I’ll share my own “recipe” for Citrus Scented Coconut Oil & Coffee Body Scrub! Deodorize your fridge – After your coffee is brewed, put the grounds in a bowl in your fridge overnight to act as a powerful odor absorber. Scour pots and pans – The gentle, but powerful abrasion provides extra scouring power to clean even the dirtiest of dishes and pans. Remove onion and garlic odor from your hands – Rub your hands with just a small scoopful of spent grounds to eliminate odors from fish, garlic, and other strong-smelling foods. Use as fertilizer for your plants – Mix the grounds into garden soil. Create a rub for cooking – I used it on portobellos and it was delicious! Clean the grates on your outdoor grill – Here again, the abrasive nature of the grounds will help you scrub away baked on food from your last backyard barbecue. Create a candle made with coffee grounds and a few beans – Find a tutorial online. Your home will smell heavenly! If you’re adept at gardening, why not have a try growing your own mushrooms at home? Mushrooms love coffee grounds. Make your own garbage disposal cleaner – Just combine epsom salts and coffee grounds, form and compact into a ball (or use a small cookie scoop) and allow to dry. Just add one to the disposal when needed! If you are a brunette – You can use coffee grounds to restore shine and brilliance to your hair. Caffeinated Soap – Did you know that you can actually absorb caffeine through your skin? For an all-natural alternative, why not turn your old coffee grounds into homemade soap! Exfoliate your skin – Coffee grounds make a great body scrub! Here’s my “recipe” for Citrus Scented Coconut Oil and Coffee Scrub: Combine dried spent coffee grounds with half as much coarse salt, so a 2 to 1 ratio. A little bit of brown sugar and softened coconut oil until it looks like a slightly damp, coarse soil. You can use any citrus you’d like, such as orange, lemon or lime. Essential citrus oils if you have them, or just the zest of the fruit which contains the oils naturally. Lastly, a bit of vitamin E oil (which acts as a natural preservative). So, why is conservation so important? 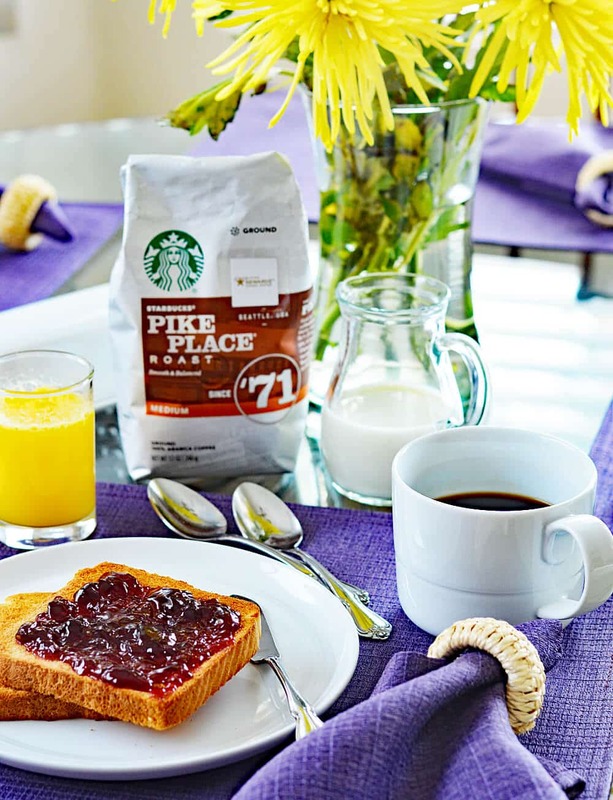 Please visit conservation.org/onetree to learn more about Starbucks® Bag One Tree initiative and their efforts. Starbucks® is already having a very positive impact on the communities they serve. One person, one cup and one neighborhood at a time! Let me know your favorite way to use coffee grounds in the comments section below & thank you for reading this post, Going Green: 12 Eco-Friendly Ways to Upcycle Your Coffee At Home! Pike Place is a registered trademark of The Pike Place Market PDA, used under license. © 2017 Starbucks Coffee Company. All rights reserved. « Plant Based Recipes On A Budget With The 99! That’s such a great initiative! I am aware how nerdy I sound right now, but I get goosebumps from the idea of “upcycling”.